Network for Ecofarming in Africa (NECOFA) has been involved in a number of activities both in Kokwa Island and Eldume village, Baringo county. Manitese which in Italian translates to ‘embracing with open arms’ started partnering with NECOFA two years ago in a number of projects. The first project involved capacity needs assessment for Indigenous Ogiek Community living in Marioshoni, support for construction of office, store and classroom for Kirepari primary school in Kokwa Island, rehabilitation of Eldume irrigation scheme and a new project on biodiversity conservation and livelihood improvement for Indigenous Ogiek community, a project which was launched officially on their arrival. The construction of Kirepari primary school in Kokwa island was initiated through the support of Friends of Kenya Schools and Wildlife (FKSW). Last year Bruna from Manitese visited Kokwa Island accompanying her was Damiano who is a friend of Manitese and who was touched by the situation of the pupils he saw in Kirepari. The young school children attending the Pre-school could not be able to trek on foot to Kokwa island primary school from one side of the island, Kirepari, to Kokwa the reason being lack of infrastructures and public means of transport since no vehicles or motorbikes can manage in the island and hence the community came up with the idea of starting ‘a school under tree’ program to educate their young ones since the classroom available could not accommodate all the children. On seeing the young children under the tree, Damiano was very touched and through Manitese funded the project and by May when the two visited again a classroom, an office and a store had already been constructed. Two other classrooms are under construction from other well wishers. The community played a big role in the building of the classrooms through the provision of labor. The pupils can also enjoy clean rain harvested water, since the Lake. Baringo water is very rich in fluoride leading to dental problems. Apart from Kokwa Island school project, Manitese is also involved in helping the Ilchamus community who are dominant of Eldume in rehabilitating the irrigation scheme. The scheme which mainly depends on water from Molo river to irrigate the semi arid Eldume required a canal to direct water to the scheme.. Following the heavy rains this year Molo river has collected water from the surrounding tributaries and is full. The Canal is still under construction. One major challenge which the Ilchamus community and other communities who depend on the Molo river are facing is protecting the river banks from the soil being washed away. Urgent action is to plant indigenous trees along the river banks to conserve it. TOGETHER WE CAN MAKE A DIFERENCE! Climate change is the ultimate test for our collective intelligence as humanity. The diversity of cultures and of knowledge systems required for adapting to climate change need recognition and enhancing through public policy and investment. A new partnership between science and traditional knowledge will strengthen both knowledge systems and enhance our capacity to respond. Biodiversity is the basis of food security. Biodiversity is also the basis for ecological and organic farming because it provides alternatives to chemical inputs. It also increases resilience to climate change by returning more carbon to the soil, improving the soil’s ability to withstand drought, floods and erosion. Biodiversity is the only natural insurance for society’s future adaptation and evolution. Increasing genetic and cultural diversity in food systems, and maintaining this biodiversity in the commons are vital adaptation strategies responding to challenges of climate change. Together with People in Peril Association, Necofa is working with Koibatek community in conservation of Koibatek ecosystem which is part of Mau Ecosystem. The conservation efforts include: Capacity building on climate change adaptation in Agriculture and natural resource management, support of communities with tree seedlings to establish wood lots, energy saving stoves, establishment of environmental clubs and arboretums in schools, tree planting in the forest. Together with Manitese, Necofa is working with Indigenous Ogiek community from Marioshoni forest in biodiversity conservation. The project involves beekeeping activities, capacity building on importance of biodiversity conservation, mapping of traditional foods and ecotourism. Rehabilitation of Eldume irrigation scheme is also ongoing and capacity building on production and marketing of horticultural crops is one major activity. Together with Friends of Kenya School and Wildlife, Necofa is working with different communities and schools in support of education and health, main schools are in Arid Baringo County, Kajiado and Isiolo. The scholarships offered ensure bright students do not miss out, as they prepare for a brighter future. Health of a community is important, and together with FKSW, Necofa has ensured yearly medical camps and monthly monitoring of community health, especially malaria cases at Kokwa Island in Baringo. 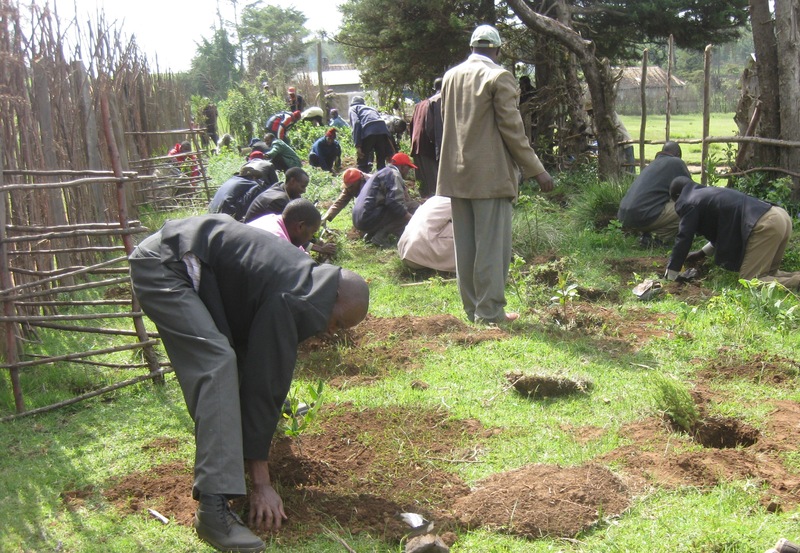 On June 25th 2011 Necofa Kenya in collaboration with the Ogiek community and stakeholders involved came together with the aim of launching the community action plan (CAP). The CAP was as a result of comprehensive, participatory needs assessment of the Ogiek community of Mariashoni location, Molo district. 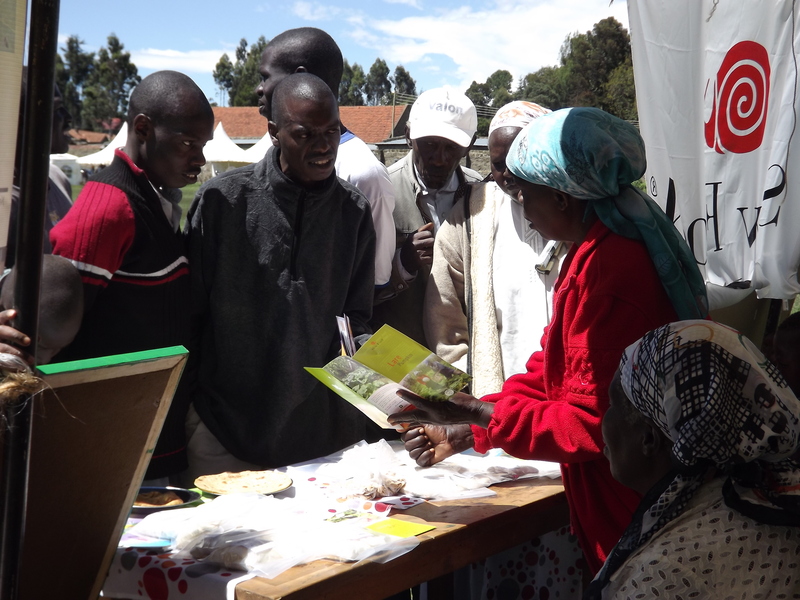 These activities and workshops were facilitated by officers from the Ministry of Agriculture, Necofa, Kenya Forest Service (KFS) and provincial administration. The process of preparing the CAP involved an in-depth analysis of both development and social issues affecting the communities living within the Mau forest area. Together the facilitators and the community members participated in forums discussing the different issue affecting the community. The members of the community were divided into 4 groups i.e. Elders, Women, Male youths and Female youths. This was to ensure that each group could feel at ease to communicate all their issues without fear and intimidation from other gender and age group. These respective groups were facilitated by the respective genders e.g. Elders forums were facilitated by Men and women’s forum was facilitated by a female facilitator. These PRA forums contributed greatly to the compilation of the CAP, which details all problems in the location and their proposed solutions. The launching Festival was organized by Ogiek youths who were assisted by the Necofa team in the organization and planning. They prepared delicious traditional dishes accompanied by mursik. The launching festival was started with forums as they were initially conducted during the P.R.A forums these were followed by a meal prepared by the community and after there was an entertainment session where a group of Mariashoni primary school student performed some traditional dances. The youths of Mariashoni also performed some cultural dances. After the dance the audience proceeded to the next session where they planted more than 200 trees in Mariashoni primary school. This is one of the major areas where Necofa has put a lot of effort in reforestation and conservation of the environment especially with the restoration of the Mau forest.